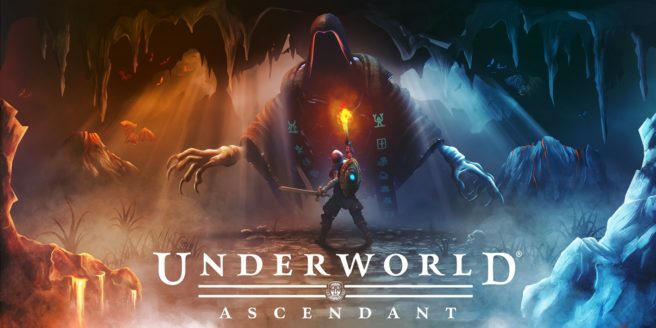 Underworld Ascendant is coming to Switch, 505 Games announced today. The game will be launching on Nintendo’s console next year. Underworld Ascendant is a fan-funded action RPG developed by OtherSide Entertainment. The studio was co-founded by Paul Neurath (Ultima Underworld, Thief) and Warren Spector (Deus Ex, Epic Mickey). In Underworld Ascendant, players assume the role of ‘The Ascendant,’ summoned to the Stygian Abyss by a mysterious figure – Cabirus. There, they learn that Typhon, a threat to both their worlds, can only be stopped by the player. To defeat Typhon, players must uncover secrets of what happened to the inhabitants of the Abyss, gain favor with their descendants and share their knowledge and strength with them to defeat Typhon. In a throwback to game industry veterans’ Paul Neurath and Warren Spector’s celebrated past, Underworld Ascendant boasts a gameplay experience that encourages different playstyles and rewards experimentation in a dungeon environment that reacts dynamically to player choices. Players can choose from a variety of items, skills and abilities that allow them to experience the game in many different ways. They must think creatively to devise unique solutions to overcome the challenges they face in the Abyss, with each decision holding great opportunity and grave consequence.